Some 15 years ago today, the world watched in shock and disbelief as the Twin Towers of the World Trade Center came crashing to the ground. Many people instantly realised that the world would change forever. 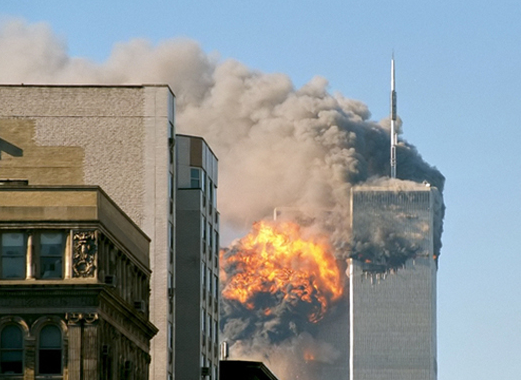 The terror attack in New York and other locations in the US on 11 September 2001 had a profound impact on America as a nation and the rest of the world, massively impacting the global geopolitical situation and helping shape it into what it is today. The ripples also extended across the Atlantic ocean to little Denmark. A new Danish study based on 18 years of data from the Psychological Central Registry has uncovered that the deadly co-ordinated attack led to a boom in the diagnoses of psychological disorders in Denmark. “The attacks on the World Trade Center led to the diagnosis of around 400 more trauma and stress-related disorders than expected in the year following 11 September 2001,” Bertel Teilfeldt Hansen, a professor at the Department of Political Science at the University of Copenhagen (KU) and co-author of the findings, told Videnskab.dk. The increase was most noticeable in the weeks following the attack when the number of diagnoses increased by upwards of 16 percent. But the researchers behind the findings – published in the scientific journal, American Journal of Epidemiology – contend that the results are only the tip of the iceberg and the event probably had a psychological impact on far more people. The research is groundbreaking because it shows that terror attacks have an effect on people across borders – something that is confirmed in an ongoing research study involving the effect the Breivik Massacre in Norway in 2011 had on Danes. The next step for the researchers is to look into how earlier terror attacks have impacted the Danish psyche and health and investigate the media’s role has on psychological reactions among the public. “In particular, we want to see the consequences of the media coverage in comparison to angles and focus taken on the attack, such as whether it is religiously or politically motivated,” said Peter Thisted Dinesen, a professor with the Department of Political Science at KU and co-author of the findings.